Discover “The Adirondacks of Central New York!" 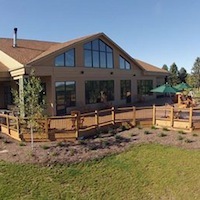 Join the staff at Highland Forest for their annual open house at the picturesque Skyline Lodge. •Purchase a 2018-19 Season Ski Pass - Save $5 and enjoy a complimentary horse-drawn wagon ride. New this year...Breakfast with Santa from 9am-11am, $12.95; $6.95 ages 5-11; under 5 free. Reservations Required. Click here for more information.